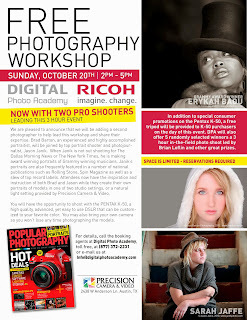 I’m teaching a photography workshop in Austin, TX this weekend, and the best part is the admission price… FREE!!! 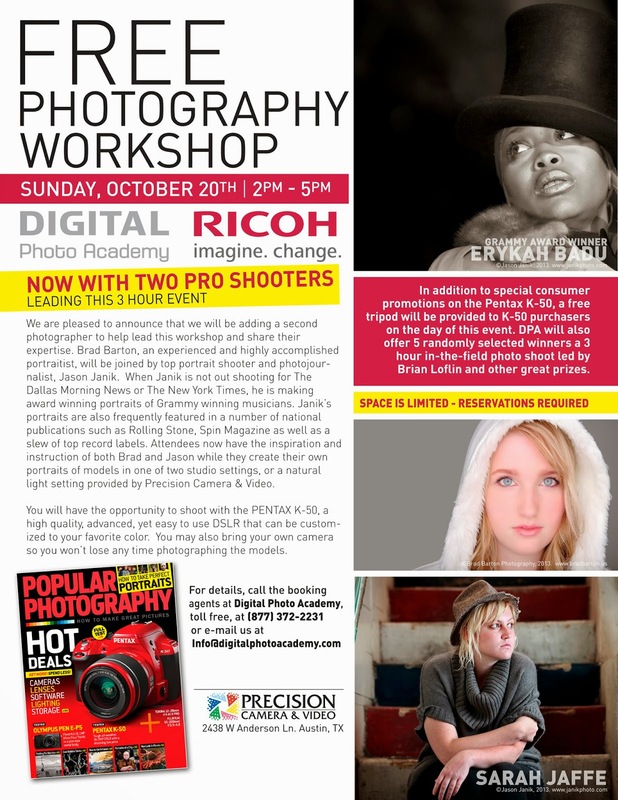 Yup, it’s sponsored by Pentax, so you’ll get to shoot and learn with me on their dime! Cool, huh?!? Their new camera is actually kind of cool looking, so I might put my Canon down for a bit and try their system, but you are welcome to bring whatever gear you are currently using. Just be sure to follow the directions on the flyer to RSVP.